Unless you were under a rock last night – or, you know, just not on Twitter – you probably saw a flurry of #UseSocialMediaforGood tweets. 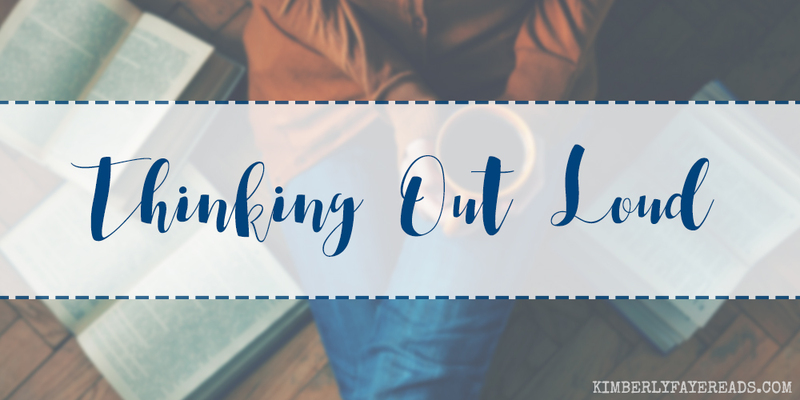 The brainchild of Jen Armentrout, this got to the very heart of something I’ve spent a lot of time thinking about – and talking about with some friends – for the last few months. I can’t handle all the negativity on social media these days. It’s not just our little bookish world either. It’s everywhere, and it’s tiring. It’s not realistic to expect people to be positive ALL THE TIME. We’re all busy and stretched thin. Bad things happen or we get frustrated. Venting is necessary from time to time. (Though I do have a sneaky feeling it doesn’t really help as much as we think it does.) But when people turn to social media to complain about EVERYTHING, it wears me out. Negativity is exhausting, y’all. It finds its way into every corner of your life if you’re not careful. It colors your view on everything and soon, instead of celebrating the little things that happen, we tend to look for the bad in every situation. I could point out tons of examples of the way negativity is overwhelming me online, but that’s not the point of this post. I’m not trying to shame or finger point. If you’re at all active on social media, you undoubtedly know what I mean. I don’t think people even realize they’re guilty of it, either. Taking it personal for a minute, a few years ago I was in a bad place. Things in my both my personal and work life were challenging. I wasn’t happy. I was working out and doing other things I love to release stress, so I thought I was managing things just fine. The problem was, I was still letting other people’s bad attitudes rub off on me. I relied on snark to get me through the day. I didn’t realize just how negative it was all coming off until an online acquaintance pointed it out to me. He wasn’t mean. He wasn’t judgmental. He simply challenged me to make my next ten tweets positive. I’ll admit, at first I was a little angry. I mean, he didn’t really know me. He didn’t know what I was going through. Who was he to tell me I needed to change my attitude? The more I thought about it – and after looking back through some of my recent tweets – I realized he hit the nail on the head. If he could see it, everyone could. I was embarrassed. I’ve always been the kind of person who can find a bright spot in most situations and I hated that I’d let other people’s moods, and things I could personally change instead of simply deal with, influence so much of my life and attitude. To this day, I am grateful to him. Just changing my focus for ten tweets made a HUGE difference in my overall attitude. I’m not talking about being passive aggressive here either (aka “I’m so happy to work with this jerkwad on this project. It’s gonna be awesome!”). I really took the time to think about what I tweeted before I hit send. I still try to do that to this day. Am I always positive online? No. No one can be positive ALL the time. But are there times when I open Twitter to be snarky about something, start typing and then realize I just don’t need to put that out in the world? Absolutely. The basic gist, or how I’ve come to understand and apply it anyhow, is that when you change your focus, you change the outcome and your overall attitude. If you only focus on the negative, you see it in everything. If you start to look for the bright spot, you’ll be surprised how much happier you’ll feel overall. When you focus too much on finding the negative or complaining about it, it takes over and you miss the good things. Last night, #UseSocialMediaforGood trended nationwide and overseas on Twitter. The last time I’ve seen this much love and happiness on my Twitter timeline was when the gay marriage ruling came down last week. It doesn’t happen nearly enough. I’d like to see more of this in my life. It makes me smile and realize this bookish world is pretty damn great. 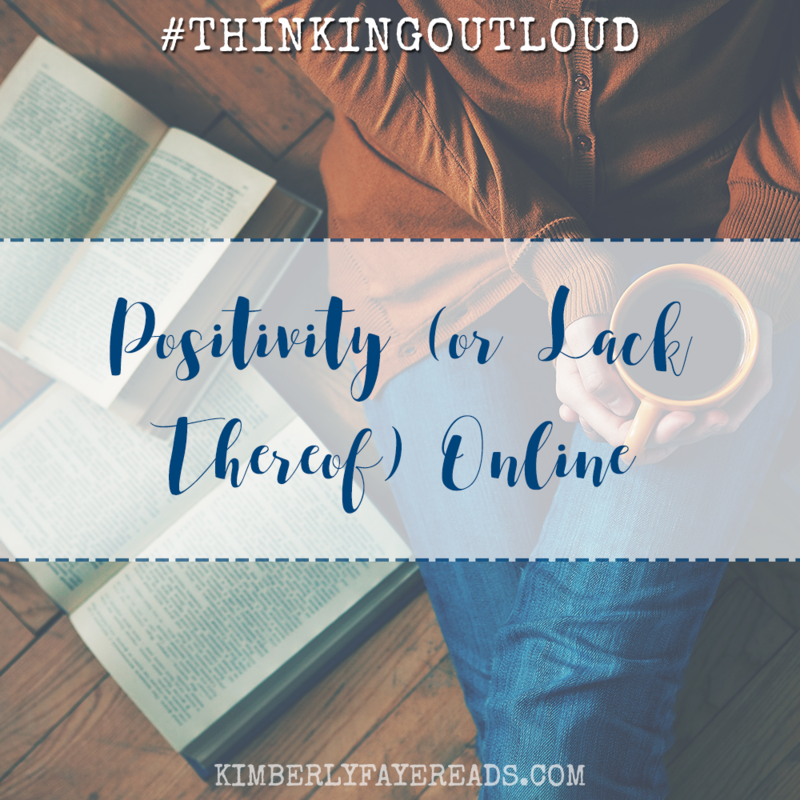 Do you find yourself overwhelmed by the negativity online sometimes? What a great post Jen! Unfortunately I’m not a good user of social media and don’t spent enough time in twitter. So I have not witness the negativity many people have yet. However, have read some about it to realized it seems to be an issue out there. I have noticed though some negativity in blog posts that had me baffled. I was like… huh???? Why would a blogger spent time to write a long post that is judgmental and critical of other blogs? what is to be earned with that? no idea. I was also very surprised to noticed other bloggers show support with their comments. Not sure why, but it really bothered me. I guess I just don’t understand what people gain with being negative. Daniela recently posted…Blogging Tip: How to Write a Book Review Part IV, What is “Good Writing”? Man, do I love this post Kim. I agree- I loved last night’s lovefest. It’s SO nice to see social media lit up with positivity and GOOD THINGS. Because the drama and the negativity really get to me. I did see one person post that they felt it was like high school again with some people not getting love and I hate that, I do, but I felt that could have been left unsaid. I understand what you mean about being in a bad place. I’ve been there too, especially this past year, and I felt I exuded alot of negativity at lunch with my co-workers. I really got thinking about it and was like, just because I’m stressed and unhappy, doesn’t mean I need to vent it to others. I definitely started watching myself and trying to be more positive and not let the drain of everyday teaching life get me. We can’t ALL be positive all the time, but I do think the world needs to be more cognizant of spreading negativity- for example like you said- looking back on what we’ve posted. Is it more negative than positive? If so, it’s time to make a change! Anyway. I’ve rambled enough, but I love that you pointed this out because last night gave me ALL THE FEELS. I definitely have found that the mute button is very nice in the last year and have just been muting anyone that tends to tweet negative and drama filled thoughts without tweets I actually want to read thrown in. I’ve found that taking control back of my feed and following people who share a genuine love of books and are generally positive have helped me feel a lot better about Twitter! I really loved your post! I’m not the most positive person, and I have a really pessimistic view on life. BUT my blogging has always been so positive for me. The people I’ve met, the things I’ve done, the books I’ve read. And I want it to stay that way, so I’ve been working really hard on keeping it a positive space. I think, last year when the big drama hit, it kind of spiraled into so much negativity that has been ongoing. I’ve been “involved” before, and I’ve watched it all happen. That was so NOT what I needed. But it didn’t really hit me how much I was letting the negativity affect me until the Kickstarter storm hit in January. I put out some tweets that could have potentially hurt someone, and I never want to do that again. I vowed then to keep my Twitter, and my blog, a positive and safe space. Sure, I’ll speak my mind and such, but I don’t want to drown in the negativity anymore, and I don’t want to follow it as obsessively as I had in the past (because then that just makes it worse). The negativity is VERY overwhelming, so much so I have to back away from it at times. I love Twitter, and I love talking with everyone online, but it can just be TOO MUCH sometimes. I have more of a realistic view on life, but I’ve noticed at times I can head towards pessimistic pretty quickly. Especially when a number of friends or folks I have relationships with online are doing the same. It’s so easy to get caught up in the negative at times. I do love this community. It’s been such a great influence on my life. I’ve made some incredible friends since I started blogging and, unlike a good number of the people in my every day life, they GET me. They understand my passion for books and authors and blogging. That’s why I want it to keep being a positive thing. I’d hate for the rampant negativity to ruin this for me. You know? Oh, wow, what a lovely post. This is something I’ve been concentrating on lately, as well – making sure my online interactions are as positive as possible. And I’ve learned that there’s a difference between “positive” and “happy” – if we’ve had a horrible day, we don’t necessarily need to pretend to be ecstatic online. Honesty is not a fault. Thank you so much! I agree honesty is not a fault and that there’s a huge different between positive and happy. If someone is happy all the time I find that it gets as obnoxious as if they’re negative all the time. We all have emotions and we need to express them – good or bad. It’s just when the bad begins to outweigh the good ALL THE TIME that it becomes too much. It’s a strange balance.